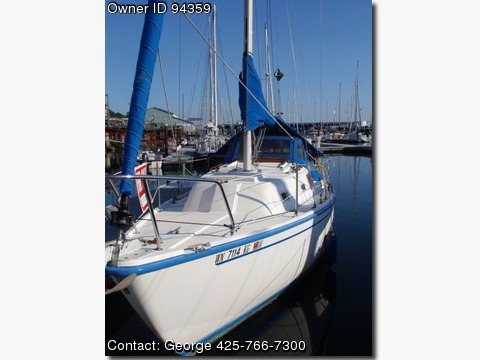 Call Boat Owner George 425-766-7300. Basic Decription: Extra large V berth. In all sleeps 4 comfortably. Legal head. 3 burner propane stove. Canvas Dodger, Main sail cover. Boom tent goes all the way aft. UV cover on head sail. GPS plotter, Depth finder, Knot meter, VHF radio, Auto tiller. AMFM cassett Speakers aft and in salon. Well maintained Yanmar diesel engine. Sails Main sail, Genoa wpole, working jib, Spinnaker wpole, Lazy jacks.